These Pop on Posy products are our new favorite hair accessory. My daughter can mix and match with her outfits, and can wear her hair more then one way with the same posy. I like these so much I have even given it my thumbs up because I too would use these in my own hair, not just my daughters hair. I love how interchangeable these are from hair band, ponytail, to clip. Wonderful easy results. So cute perfect for school, church, home, parties, etc. Great gift for anyone looking for something new for their hair. Pop on Posy can be found on Amazon in lots of different colors. What Pop on Posy has to say about their product. 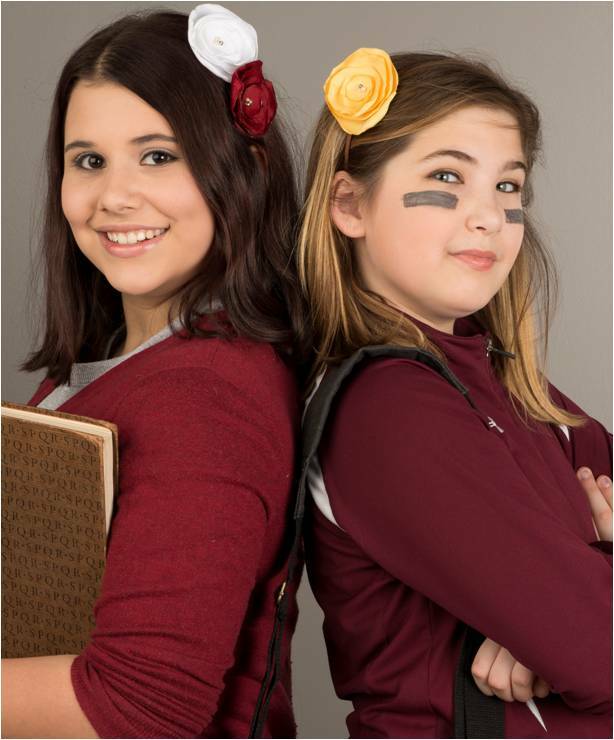 Madam Posy designs stylish, magnetic hair accessories that allow girls of all ages to express their individuality with pop-on, pop-off floral creations made of the highest quality fabrics. 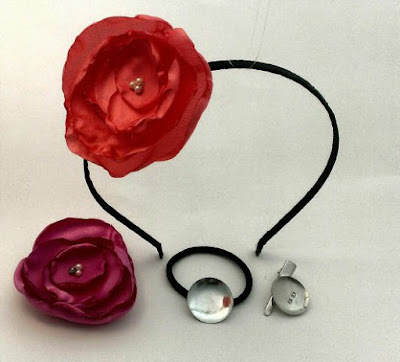 Our signature product, called a “Pop-on Posy” has a hidden, patented magnetic innovation that allows it to be easily removed by the wearer but is virtually impossible to knock off. 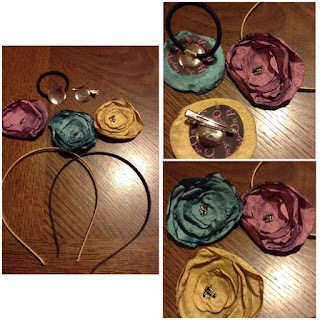 Pick one...two...or more posies and instantly "pop" them on your chosen hair accessory. Change your look at your whim! Our Products are filling a consumer need for a hair accessory line that is higher in quality and style for a more discerning style-conscious customer. Having the ability to customize your hairstyle with as one, two or more posies offers limitless style possibilities! Our posies are safe, easy to use and unlike anything else in the market! “Pop-on Posies” are available in a range of styles, sizes and color stories for girls and women. Posies sold individually and in starter sets. We design and manufacture a majority of our products in the United States. We are also proud to support local schools by offering school/team colors as a fundraiser opportunity! Disclosure: MarksvilleandMe received one or more of the products mentioned above as part of a promotion with Tomoson and Pop on Posy. Regardless, MarksvilleandMe only recommends products or services we use personally and believe will be good for our readers. Some of the links in the article may be “affiliate links.” This means if you click on the link and purchase the item, I will receive compensation. If you would like MarksvilleandMe to review a product or service please contact us at marksvilleandme@gmail.com.